We are a Search and Rescue team based in Berkshire. We are a 100% volunteer staffed charity who provide highly trained searchers to assist the Police in the search for High Risk Vulnerable Missing Persons such as young children, or those living with dementia. 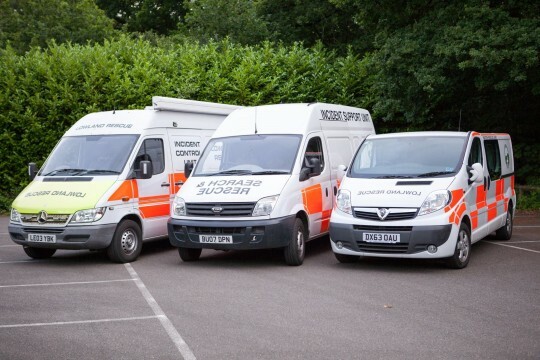 We also provide civil contingency services to the local authority in times of need such as flooding and heavy snow. Berkshire Lowland Search & Rescue (BLSAR) provides foot searchers, search controllers and Search Managers as well as all the equipment needed to manage a large scale search including a control vehicle, computerised mapping, radio communications, medical equipment, scene lighting etc. We will normally be called out by Thames Valley Police to assist and manage the search for missing vulnerable persons such as children, those suffering from dementia or despondent people. We train our volunteers to a very high standard in many disciplines for both their safety and that of the person they are looking for. It takes 3 months to train a volunteer to become operational and the commitment given by our members is difficult to quantify. There are no paid staff on our team. We are 100% volunteer but we think of ourselves as 100% professional in all but pay. We rely on donations to help us save lives and every penny counts. Buys medical equipment, vital for treating a missing person.